James Madison High School Wrestling fell short in their quest for a PSAL Dual Meet Championship, losing in the semi-finals to Benjamin Cardozo, 41-24. 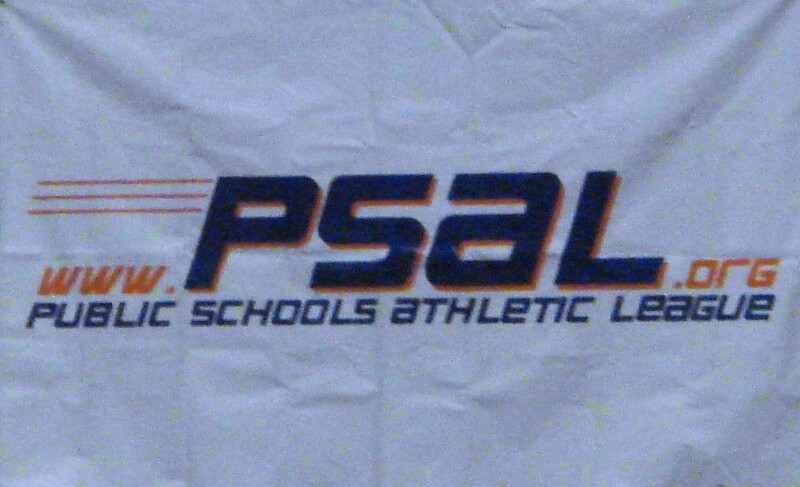 In a change from previous years PSAL playoffs, the two teams which lost in the semi-finals would immediately square off against each other to take 3rd place. For Madison, that meant a tough match against MLK High School only moments after losing to Cardozo. The semi-finals match up had everything a fan could want. There were many tough match-ups with ranked wrestlers going head to head, and a close score throughout, in fact, the score was tied 21-21 after ten bouts. The match started at 126 pounds with Rex Villa setting the pace for Cardozo with a pin. Following some great marquee match-ups between Louis Cigliano at 152 pounds, who defeated Taquee Burns, 10-8, and Youssef Eliali with a 3-2 decision over Fabian Bramwell at 170 pounds, the score was knotted at 21. The heavyweight battle saw Madison’s Mark Ifraimov take care of Chijioke Ezenyilimba by a score of 7-6. That made it 24-21, in favor of Madison going back to the bottom of the weight classes. Starting at 99 pounds, Cardozo swept the next four bouts, earning 20 points and ending the match with a win and the chance to battle Brooklyn Tech for the Championship on January 29th. Following this tough and disappointing loss, the Golden Knights had to quickly rally, and go back on the mat to take on MLK High School. That match started with a Madison win, as Askar Raimbek defeated PSAL ranked wrestler Jonathan Alicea by a score of 13-10. MLK would take the next two with decisions, and then Madison notched wins in six of the next eight bouts, earning falls in five of them. With the score Madison 36 and MLK 35, it all came down to the last match at 126 pounds. Eugene Khalabudnyak sealed the win, and 3rd place overall for the team, with a fall in the 2nd period. James Madison High School Wrestling finished the season with a 15 and 3 overall record, and a 3rd place finish in the PSAL Team Dual Championships. 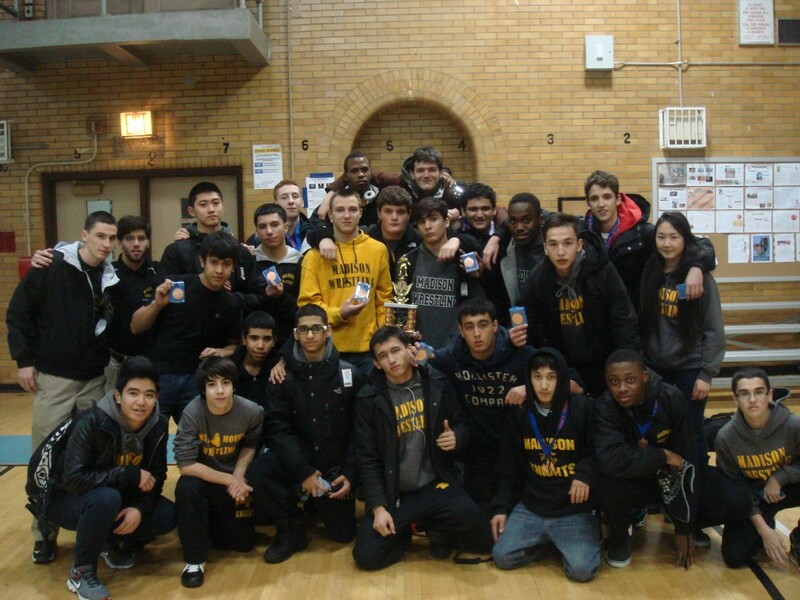 The team has five ranked wrestlers, all with 20+ wins on the season, and another two wrestlers look to join this circle of “20+ wins” this weekend at the 2013 NYC Mayors Cup.